Vasant Nagargoje joined Concentric as Senior Manager Process Engineering at our manufacturing operation in Pune, India, in 2011. He quickly learned the ins and outs of the business and applied his expertise in Total Productive Maintenance (TPM) and lean manufacturing practices in a variety of ways that have improved efficiency and significantly reduced both energy consumption and waste across the organisation. 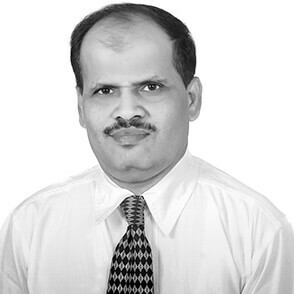 Interview with Vasant Nagargoje, Senior Manager Process Engineering for Concentric, India. "My goal is to satisfy the customer on time, in full, every time,” he explains. “At the same time, I want to make sure that I am doing so at the lowest possible cost with minimal waste. As a result, my team and I are always on the lookout for opportunities to eliminate waste in all aspects of our work." The team in Pune, made up of 15 salaried employees and 125 associate level machine operators, have been open to his ideas and quick to come with suggestions of their own. "They are very enthusiastic and interested in innovation, always looking for ways to do things better," he says. According to Vasant, sustainable working practices go hand in hand with a Total Productive Maintenance approach. "Our guiding principle is 'What I produce should be right the first time.' With TPM, our goal is to achieve a working environment with zero breakdowns, zero accidents and zero defects," he explains. An important part of the TPM approach has been the formation of TPM circles. "The circles are made up of machine operators who meet for 10 minutes every day to discuss ideas about how to work more effectively and sustainably." Vasant says. "We have also provided the machine operators with a daily preventive maintenance checklist so that they are on the lookout for leakage of oil or air from their machines." Further, Vasant has instituted monthly Kaizen competitions in which all employees are encouraged to submit ideas for continuous improvement. "If your idea is adopted, you are recognised with a formal certificate and a financial incentive, as well as seeing your idea put into practice," Vasant explains. One example of how the TPM approach is contributing to sustainability is how the Process Engineering team has been working to reduce the amounts of oil and coolant used in the processes they run. They have started filtering and reconditioning as much as possible, which reduces both costs and the negative environmental impact of waste disposal. In terms of energy efficiency, Vasant and his team have made improvements in several areas. "We have replaced the air ventilators on the roof with ones that do not require energy to run, which has both improved air quality and flow in the factory and substantially reduced energy costs. We are also in the process of installing more efficient air compressors. The introduction of Variable Frequency Drive means that they will consume much less energy," he says. "Also, in March 2015, we changed the shop floor lighting from Sodium Vapour Lamps to LED lamps which is better for our workers, makes the quality inspection process easier and reduces energy consumption and costs." Perhaps the most notable change of all in terms of efficient use of energy, though, was the decision to introduce an express feeder. "We'd been experiencing major fluctuations in the supply of energy to the shop floor," Vasant says. "This was terrible for production – the machines would stop in mid-process, which damages the tooling, creates lots of waste and increases the need for maintenance on the machines. Not only did the costs of production increase because of these problems, but the team was also missing its production goals through no fault of their own." The new express feeder ensures uninterrupted power supply. "On the face of it, the express feeder is more expensive but it means no interruption to production, no damaged tools, less machine maintenance, less waste, and the team are able to hit their production goals consistently. So it's a worthwhile investment," Vasant says. An added benefit of the express feeder is that because the power supply is never interrupted, they no longer need to resort to using a diesel generator as backup, thereby reducing emissions into the environment. Looking to the future, Vasant thinks it would be fantastic to be able to use solar panels for energy production one day but currently the return on investment is too long, at between five and seven years. Ultimately, though, he envisions a time when Concentric Pune will be able to run production entirely on renewable energy sources. Vasant tracks several Key Performance Indicators (KPIs) that prove the work the Pune team is doing is generating concrete results in terms of improved efficiency and waste reduction. "For example, consumable tool costs as a percentage of sales were reduced by over 20 percent in just one year," he explains. "On-time, in-full delivery performance improved by 6 percent during 2015. Our Overall Equipment Effectiveness (OEE) score is currently running at 11 percent higher than in 2014. And customer PPM (parts per million) rejects were 80 percent lower in 2015 compared to the previous year. So we’re making real progress here." Concentric Pune has a number of externally recognised certifications, including ISO 14001, OHSAS 18001, and Investors in Excellence (IIP). The IIP Auditor has confirmed that the new practices in energy efficiency and oil and coolant reduction demonstrate good practice in sustainability. Vasant thinks that Concentric has been on a par with competitors in terms of sustainability actions previously but he now believes that we are demonstrating best practice in many areas. "For me, it's pretty straightforward," Vasant concludes. "Fundamentally, TPM and lean manufacturing are about the elimination of waste. The link to sustainability is clear. At Concentric, our sustainability strategy helps us create long term shareholder value by embracing opportunities and managing risks – deriving from economic, environmental and social developments. It's win-win."